The U.S. law enforcement officers raided a popular cafe linked to Pennsylvania-based Imam Fethullah Gülen in New York's Brooklyn on early Friday morning, the Daily Sabah has learned. 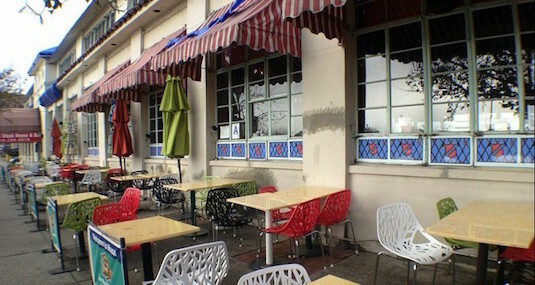 More than a dozen officers seized computers during the raid on Masal Cafe, a popular destination for Gülen's disciples, according to frequent visitors of the venue. Another search was also conducted against the cafe's owner, Salahattin Karakuş's house, in which his computers were also confiscated. Karakuş confirmed on Sunday via phone that U.S. law enforcement officers were in his house and the cafe. "They told me not to talk about this with anyone. That's all," he said. Local media reported that the raid was conducted by the Federal Bureau of Investigation, however, FBI's New York office said it had not carried out the operation. At least two Turkish-American citizens, who spoke on the condition of anonymity due to the sensitivity of the issue, said Karakuş had close ties with Gulen, in fact, Gulen himself was the one who named the cafe. "Whenever the owner visits Pennsylvania, he is very much welcome. Gulenists are using this location because it is also very close to the JFK, the airport." one of them said. Buzzfeed previously mentioned Karakus in a report about Gülen's efforts to buy influence in U.S. politics. Karakus told reporters that he is a supporter of the Gulen movement and regularly attends holiday dinners at the Turkish Cultural Center, a major NGO run by Gulenists. Some locals believe U.S. officials targeted Karakus due to his recent money transfers. Yet there are some signs that there may be a broader investigation against Gulenist businessmen in the United States. A Senior Turkish official said the FBI has been conducting a number of investigations on money laundering allegations involving Turkish-American businessmen with links to Gulen. A Turkish diplomat confirmed that the FBI was informally interviewing some businessmen in Chicago due to their links with Gulen.